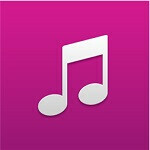 After launching in the UK just last week, Nokia has made the subscription music service available for the US market. Priced at $3.99 per month, Nokia Music+ provides many of the features that other streaming music services provide, but you will notice at very competitive price. You can have unlimited downloads for offline use, unlimited skips, use the service on multiple devices as well as access the service via the web. Nokia Music also has a neat "gig finder" feature which uses your location to tell you what concerts and music performances are happening nearby. As you might expect, you can map out the venue locations using Nokia Maps and get directions using Nokia Drive. If they are available, you can also see lyrics to the songs and Nokia Music+ delivers better sound quality versus the free service. Nokia Music+ is priced competitively with Slacker and less than half the cost of what Spotify's mobile subscription fee. If you have been a happy Nokia Music user and looking for a few more features for only a few dollars more, Nokia Music+ is your ticket. Nokia has even built in a 7-day trial period with Nokia Music+ so you can feel comfortable giving it a try. a Fact : .. Nokia Music "not Music+" >> is a Freaking Awesome service from Nokia ,, I mean No Sign up , No subscription , No BS ! ,, just hit your favorite MIX and you're Good to go .